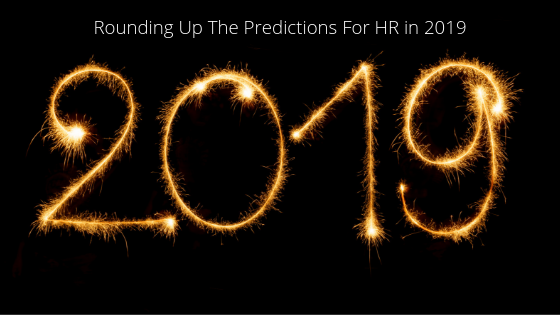 There is always a lot of discussion in the corporate world at the beginning of every year about what’s in store for the coming months, and for the HR profession, it is no different. LinkedIn recently published their predictions after surveying 5,000 talent acquisition professionals around the globe, probably one of the largest HR/talent surveys of its kind. But there have been many other predictions being offered, so we thought it would be a good idea to look at them all together and see whether there is any agreement on the key challenges. Nearly all the talent acquisition professionals felt that identifying soft skills in candidates is going to be the biggest challenge this year. Soft skills are the term used to cover personal qualities such as creativity, persuasion, collaboration, adaptability and time management, and they are indeed vital skills to have in the workplace. Creativity in particular, is a soft skill in high demand relative to its supply according to LinkedIn data, although you could argue that this is not something that LinkedIn would be able to readily identify. What is also not clear from the report is why soft skills are being heralded as this year’s big thing when arguably, they have always been a vital skill to have, and have always been hard to identify. Work flexibility received much attention in 2018 and it is increasingly easier to achieve thanks to rapid improvements in workplace technology. The challenge is not achieving flexibility necessarily, but rather helping the larger companies accept that it is possible to run a successful organisation while having employees in multiple locations, including in their own homes. There are many proven benefits to flexible working such as employee retention and engagement and it can even increase productivity. Harassment is an issue that is hardly ever out of the news now, following so many years of silence. Management and HR teams have been galvanised into making sure that company harassment policies are clear, and anyone can call out harassment and discrimination as it happens. Encouragingly, as many as 75% of the talent professionals in the LinkedIn survey reported that they had already noticed positive changes in staff behaviour over the last two years. The recent pay gap reporting legislation in the UK has highlighted the issue, but many companies are dragging their feet in taking the next step and promoting a policy of pay transparency, with only 27% of those surveyed already sharing salary ranges, according to a LinkedIn report. What is really interesting, is reading about the case studies of some US companies who decided to be completely open about their staff pay, after consultation with their staff. A great example is Buffer who publish all their actual salaries (not just ranges) on line, and within 30 days of first doing so, they received over twice as many applications as they had the previous month. The company uses internal surveys to check the popularity of the policy, and employees have responded positively, boosting trust and morale, and productivity in general. There are many other trends and challenges for 2019 being discussed, and we list the main ones here with our view on their importance in the workplace. Employee Engagement is as critical as ever in our current times of change and uncertainty, and it is encouraging to see it near the top of the priority list for HR in the coming months. Staff Retention most definitely deserves to be high on the list at a time of acute talent shortages in the workplace. Combined with the other trends of flexibility, employee engagement, wellbeing, mental health initiatives and psychological safety, it is possible to create a workplace environment that no one wants to leave. Absence management and presenteeism at work are topics that seem to come up every year on the ‘challenge’ list, but presenteeism, or coming into work when you are ill, has more than tripled since 2010, according to the latest CIPD/Simplyhealth Health and Well-being at Work survey. It is clearly something that needs to be addressed urgently. Two external factors that are predicted to impact HR’s work this year are the importance of being more environmentally friendly in the workplace and addressing current political uncertainty and whether employees feel their jobs are threatened by Brexit. Internal Communications professionals and HR need to work together so that everyone feels well informed and reassured that these challenges are being addressed with the employee in mind. One last area that hasn’t appeared on any list as being the next big thing, but according to most recent estimates, it is something that really needs to be taken into account. There are now around 12 million ‘HR technology’ companies currently operating in the US alone, employing more than 160 million people, (more than the population of Russia). The numbers suggest HR technology cannot be ignored when predicting the future role of HR. We are now living in the time for which these predictions were intended. How many of these topics will come up again on the list of key trends and challenges of 2020? Can HR ever tick that ‘done’ box and move on to new challenges? Will the challenges remain the same, but their importance to HR change? Only time will tell! At Chapple, we specialize in sourcing candidates in external and internal communications, HR, employee engagement, change and business transformation roles.